Virginia General Assembly Archives - Read. Think. Act. (Aug. 13, 2018) Catherine Read interviews Del. 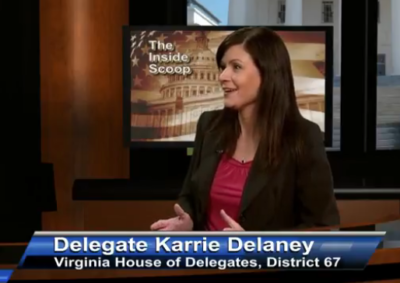 Karrie Delaney (D-67) about her first year serving in the Virginia House of Delegates. They speak about her experiences that led her to run for office, along with the challenges she faces in balancing her life in her new role. They also discuss legislative victories and initiatives. Del. Delaney first shares with Catherine about her background and what drove her to run for office. Her professional background is as a counselor, helping children in foster care and victims of sexual assault. Early in her career, she recognized the importance of public policy, and how it can have a real affect on peoples’ lives – in both positive and negative ways. 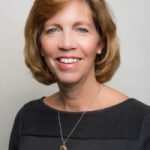 When living in Florida, she sought to learn about the inner workings of local government, which led her to eventually winning a seat on the local town council in Melbourne, FL. After moving to Northern Virginia, Delaney settled down and started her family in Chantilly. Upon the birth of her daughter, she recognized Chantilly as “home” and wanted to get involved and make a positive impact in her new community. She contacted her local Supervisor to share her skill set and learn what opportunities were available, and was soon appointed to the Citizens Corps Council. She then served on the Fairfax County Library Board, where she eventually took over as Chair. Simultaneously, she started to pay attention to her representation in Richmond, and saw that her Delegate’s voting record was out of line with her community’s values. Following the presidential election in November of 2016, Delaney gave serious thought about running for the House of Delegates. She jumped in the race and unseated Jim LeMunyon, a 4- term incumbent who was first elected in 2009, with a commanding 58% of the vote. It was a monumental year for Democrats, as they picked up 15 news seats and sent 16 freshmen legislators to Richmond. Although they did not achieve a majority, the shakeup sent shock waves through the commonwealth and opened up many doors, such as the expansion of Medicaid, that eventually passed with bi-partisan support. Upon winning her seat, Delaney was on a roller-coaster ride to get up to speed for the upcoming legislative session. Her biggest surprise when starting in her new role was simply how quickly things move. Following the election, freshmen delegates need to undergo training, hire staff, setup an office, figure out where they will live in Richmond, secure childcare arrangements to accommodate a new schedule and last but certainly not least, draft and submit legislation for the upcoming session. When considering which bills to sponsor, she collaborated with her caucus, while also paying close attention to issues she learned about from her constituents while out knocking on doors. Her first big success, HB 1419 (otherwise known as the “Recess Bill”) gained quite a bit of traction and passed through both the House and Senate with tremendous bi-partisan support. The bill requires local school boards to count unstructured play time toward the minimum instruction hours public schools must meet each year, giving an incentive for the schools to provide more recess time. She worked together across the aisle with her chief co-patron Del. John McGuire (Louisa) who was also passionate about this issue. As a mother of elementary aged school children, Delaney fully understands the importance of this bill and is thrilled to see it signed into law by Gov. Ralph Northam. Other legislative victories include being a chief co-patron on the Kinship Guardian Assistance Program Bill (HB 1333), carried by Del. Emily Brewer. This bill establishes a KinGAP program to facilitate child placements with relatives and ensure permanency for children for whom adoption or being returned home are not appropriate permanency options. The program provides for assistance to families who take in the children, similar to how the foster care system works. The goal is to keep the welfare of the children in mind, and support the best possible outcomes for them. Looking ahead to next session, Delaney is very excited to be working on drafting legislation, listening to her constituents, and working at getting the language of her bills to be “just right”. She finds it critical to ensure that her bills are reasonable, accomplish the right thing and do not have an unintended consequences. She places a strong emphasis on working across the aisle to find common ground, while standing strong with her principles. Del. Delaney encourages constituents to reach out to her via email, visit with her during office hours, come to a town hall, or just give her a call to share their ideas. Catherine Read met with Joanne Walton and Tony Bennett Shivers, co-founders of the Virginia Education Funding Coalition (VEFC), a unified non-partisan voice advocating for fully funding public education in Virginia. The mission of the VEFC is to ensure that the commonwealth of Virginia adequately invests in its public education system, so that all students have access to a high quality education with well-paid and well-trained teachers. Currently, Virginia is ranked 38th in the nation in per pupil state funding and ranked 29th overall for average salary for K-12 teachers. The state is also facing a deficit of 1000 teachers. As baby boomers retire, Virginia will continue to face a shortage of teachers, and as a commonwealth we will be facing a crisis situation. The best indicator of student success is having effective teachers in the classroom. VEFC advocates for stronger recruiting, support and training of our teacher workforce, and strives to bring people together across the commonwealth to advocate for stronger support for public education. Walton notes that VEFC aims to build a coalition of teachers, parents, businesses and community leaders who are understand the critical relationship between well-educated children, strong local communities and the future workforce. The goal of VEFC is to create a platform for everyone to come together to advocate before the Virginia General Assembly to improve the LCI (Local Composite Index) so that all Virginia counties and school districts receive adequate funding based on their enrollment needs. Additionally, VEFC supports passage of legislation giving Virginia counties and school districts the authority to diversify and raise revenue on a local basis. Shivers cites a study by the Georgetown University Center for Education Workforce that indicates there will be 55 million job openings by 2020, 34 million of those will be new jobs and 31 million will be posts vacated by retiring baby boomers. He believes it is imperative for Virginia to adequately invest in educating our children today for the workforce of the future. It is estimated that 65% of the jobs by 2020 will require post secondary training. 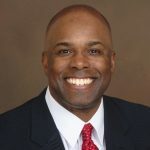 He shared that learning in the 21st century needs to be individualized and personal, where we can teach children to think critically and problem solve so they can be prepared to step into jobs that do not even exist today. In order to do this, we need to adequately fund our schools and invest in our children and teachers. 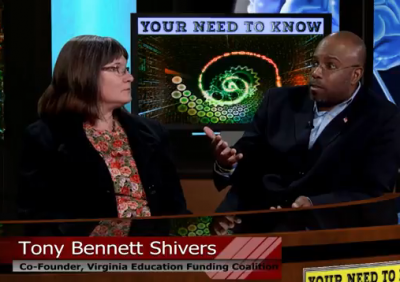 Shivers and Walton invite all who are passionate about improving education in Virginia to join their coalition. They currently have an online petition asking Governor Ralph Northam and the Virginia General Assembly to increase funding for public education, which has not been increased in 10 years. You can follow them on Facebook and Twitter (@VAEdFunding) and by using the hashtag #FundVaSchools. 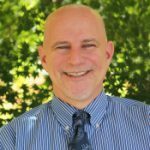 (Dec. 13, 2017) Catherine Read interviews David Miller, Senior Minister at the Unitarian Universalist Fairfax Congregation (UUCF) to discuss his work on Gun Violence Prevention. When Rev. Miller took over 2 years ago, he “inherited” a congregation who had made a resolution that they wanted to fight for reasonable restrictions on guns to help curb the epidemic of gun violence. This was a natural fit for him, as his background included work with his congregation in California where he tried to bring people together to come up with reasonable solutions. His beliefs are rooted in the bible, where we are told “Thou Shalt Not Kill”. After the shooting in Oregon at Umpqua Community College in October of 2015, Miller felt compelled to speak out. Geographically speaking, his congregation is the closest Unitarian Universalist Church to the NRA Headquarters, so he and his congregants started the monthly ritual of holding a vigil outside the NRA on the 14th of every month , the anniversary of the Sandy Hook massacre. Each month they are joined by community members and politicians, all who want to bring attention to this issue. Additionally, Rev. 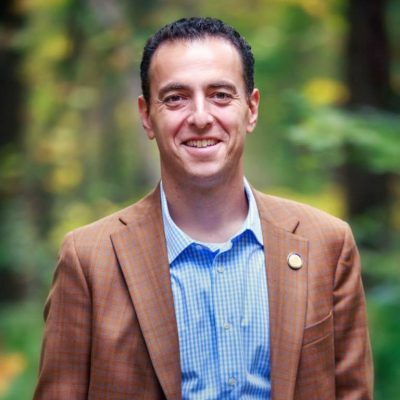 Miller and his congregants actively work to support elected officials and candidates who champion safe and sane gun laws. 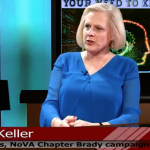 In the second segment Catherine interviews Lori Hass, of the Coalition to Stop Gun Violence (CSGV), and Julie Keller of the Northern Virginia chapter of the Brady Campaign to Prevent Gun Violence. Both of the women work day in and out advocate for stronger laws to keep citizens safe. Haas indicates that her organization, CSGV advocates for reasonable changes to gun laws that will help protect Virginians. Universal background checks will help keep guns out of the wrong hands. Disarming domestic abusers will help keep women safe, as more than half of all women murdered in the United States are killed by an intimate partner with a gun and the chance of being murdered by an abusive partner increases five-fold when there is a gun in the home. CSGV also supports being able to separate those with mental illness from a weapon, through the process of adjudication. Additionally, CSGV seeks laws to secure firearms from young children. There will be bills passing through the General Assembly this year addressing each of these issues. Legislation can be followed online, and Haas encourages everyone to contact their Delegates and Senators to encourage them to support common sense gun legislation. Julie Keller represents the Brady Campaign to End Gun Violence and spoke of two important campaigns that they support to help keep citizens safe. First, she spoke about the “Ask” campaign. This is something as simple as asking another parent before you send a child to play at their house if they have a gun, and if so will it be locked up? She notes that parents routinely as about food allergies and swimming pools, but rarely ask about guns. This always gives the parent the option reversing the invitation and holding the play date at home, if they are not comfortable with the answer. Keller also spoke about a recent lawsuit in Florida, where a bill was passed to telling pediatricians that they were not allowed to ask if there were guns in the house, and if so were they properly being stored. This was a bill supported by the NRA, and the doctor’s association successfully fought this bill in court. It does not require pediatricians to ask the question, but they are no longer prohibited from asking. Lastly, she spoke about a bill moving through the General Assembly to allow citizens to purchase a Gun Violence Prevention License Plate. If you are interested in purchasing a license plate you can find an application on the DMV website. Join activists on December 14th at 10am outside the NRA Headquarters to call for stricter gun laws to keep citizens safe. 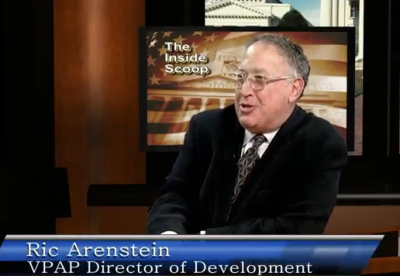 (Dec. 11, 2017) Catherine Read interviews Ric Arenstein, Director of Development for the Virginia Public Access Project (VPAP). 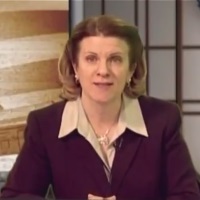 Founded in 1997, VPAP was started by Virginia based newspapers with the purpose to inform citizens about all public documents related to money in Virginia politics. 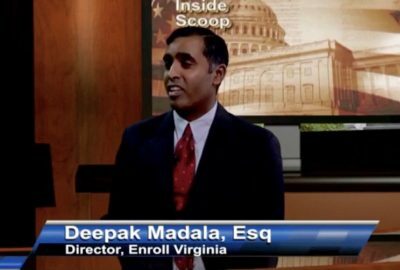 Because there are no restrictions on how much money politicians can accept from individuals or corporations in Virginia, it is important for citizens to be able to access and understand the public disclosure documents such as campaign finance reports, conflicts disclosures and lobbyist registrations. VPAP breaks down the silos of government data and weaves in other information such as newspaper articles and election returns to give citizens the information that they need to make informed decisions. As a nonpartisan organization, VPAP simply aims to aggregate and understand the influence of money in Virginia politics. As Thomas Jefferson once stated, “a well informed electorate is a prerequisite for a democracy. 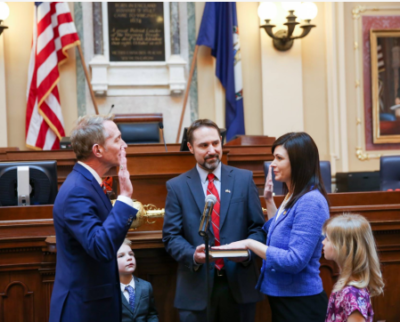 ” VPAP offers a daily briefing called the VaNews, where subscribers can have a morning digest of Virginia political news sent to their inbox. Currently there are 11,000 subscribers, and it is the most comprehensive overview of what is happening in politics throughout the state. The homepage of VPAP has some great resources to help citizens connect with their elected officials. Visitors to the site can simply punch in their address on the All Politics Is Local tab and they can get connected with their state representatives, find their voting location, see headlines from their local area, see which of their neighbors are donating money to Virginia candidates, and find out when the next election is taking place and who is running for office. It is a rich and valuable resource that is free to the public. VPAP has evolved over the past 21 years, and now uses newer tools such as data visualization to interpret and present information in terms that are best understood by users. The analysis that VPAP provides is intended to explain the data, without giving opinions about the information. VPAP data was cited in the media over 3,000 times last year alone. During the Governors race, VPAP used the tool “My VA Candidate”, which was a questionnaire designed to help citizens determine how closely their views aligned with the gubernatorial candidates. 70,000 people took this online questionnaire to help better understand the candidates and issues. Arenstein emphasized that the website is very open and transparent, does not track users or subscribers, and is completely an opt-in environment. VPAP has recently rolled out a host of educational components to help inform new voters, and provide resources to civics teachers in the classroom setting. Three years ago, VPAP received a grant from the Reynolds Foundation to build a curriculum around the Standards of Learning for Civics classes geared toward high school seniors. VPAP has brought educators in for training on these tools, hoping that these teachers will return to their home districts and share what they learned. VPAP will soon be hitting the road and traveling around the state to bring the training to more K-12 teachers throughout the commonwealth. In order to stay relevant, VPAP continues to develop new tools to help voters better understand their elected officials. 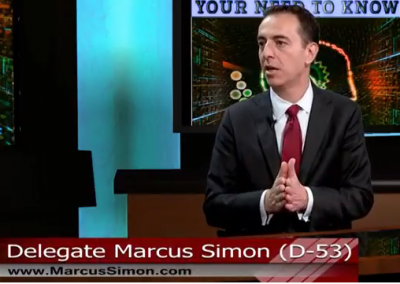 The aggregation tool, which takes scorecards from a variety of special interest organizations that rate legislators, allows voters to see this information in one neat and easy place. Another new tool, the Vote Analyzer allows citizens to look issue-by-issue and vote-by-vote when is comes to specific issues. It also allows a user to compare any legislator to others in their party, to the entire General Assembly body, and to their region. These tools are designed to demonstrate that legislators may vote along regional lines, gender lines, etc. instead of simply falling in step with the party-line vote. VPAP is a non-profit organization, supported by over 1,000 individuals, companies and politicians who believe in its mission. In order to be strong and independent, Arenstein notes that they seek donations from the broadest possible number of people. Their annual donor luncheon in May brings together people from across the spectrum and demonstrates the importance of the organization. Many donors look at supporting VPAP as an important part of their civic engagement. The goal of bringing people together over a common set of facts has a big impact on civil discourse in society.